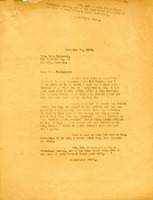 Martha Berry writes to Mrs. Callaway, apologizing for sending what may have been a curt note rather than the brief one she intended to send in reply to her inquiry about Old Roanie. She explains that her family may have bought a horse from Mr. Cantrell at about "that time," but that her brother is sure that no one besides her family owned Roanie. 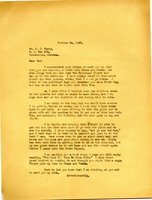 Miss Berry explains that she was not offended at all by Mrs. Callaway's natural inquiry. 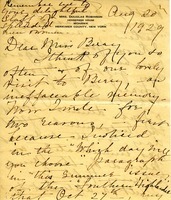 Miss Berry concludes the letter with her wishes for Mrs. Callaway to have a good Christmas and New Year.